Resist the urge to soak up the added butter, sauces, dips and glazes. Often the food item is just as good (or better) without the added dressings. Spare the added calories altogether or save them for your favorite indulgence. Plan to share splurges like this year’s must-sample new foods with a friend (or two). Rather than eating all of everything you want, try eating a smaller portion of the things you want most. Sometimes a bite or two can be satisfying enough. Yes, the State Fair is about a lot of good food, but don’t wait until it’s too late to hydrate. Drink plenty of water while you wait … between meals, while in line and while walking throughout the fairgrounds. Take the emphasis off of food and place it on enjoying the experiences and people (especially family and friends). 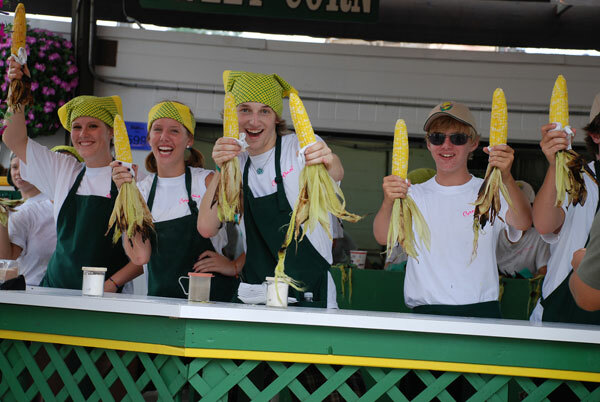 The State Fair has various arts, science, agriculture, entertainment and plenty of exhibits and experiences to enjoy.